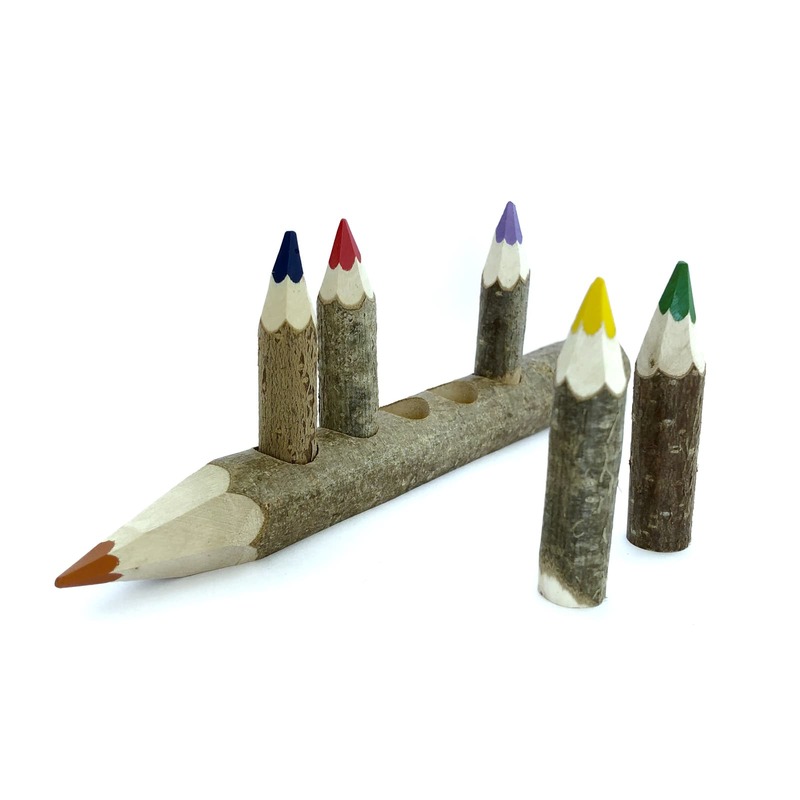 Set of 6 wooden colored pencils. We can engrave your name on the big pencil to make it even more special. In case you don’t write anything in the box, we will send you the product without personalizing. Multiply the fun: 1 + 5 together in an original presentation. To paint and decorate. Set of 6 colored pencils entirely handmade. They are made from hazel branches collected by us. They are perfect both for painting and decorating any corner of your home. The pencil leads are made of wax. Being washable in most tissues and not toxic, they are suitable for children, although they are ideal for any age. 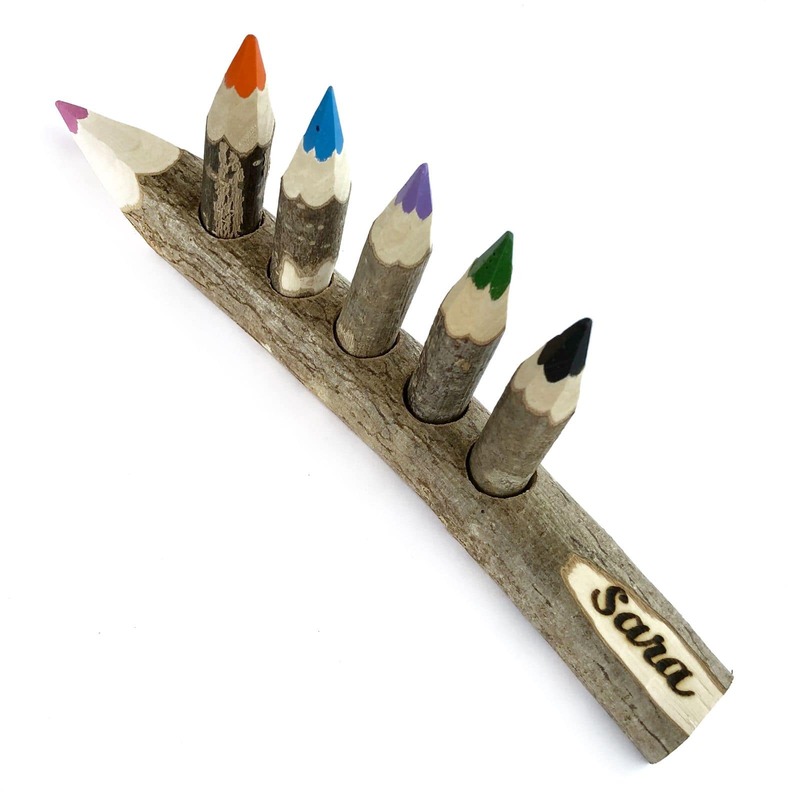 The pencils are very light and pleasant to the touch, since the finish is in natural wood. They can be easily sharpen with a cutter; hazel is a very soft wood! 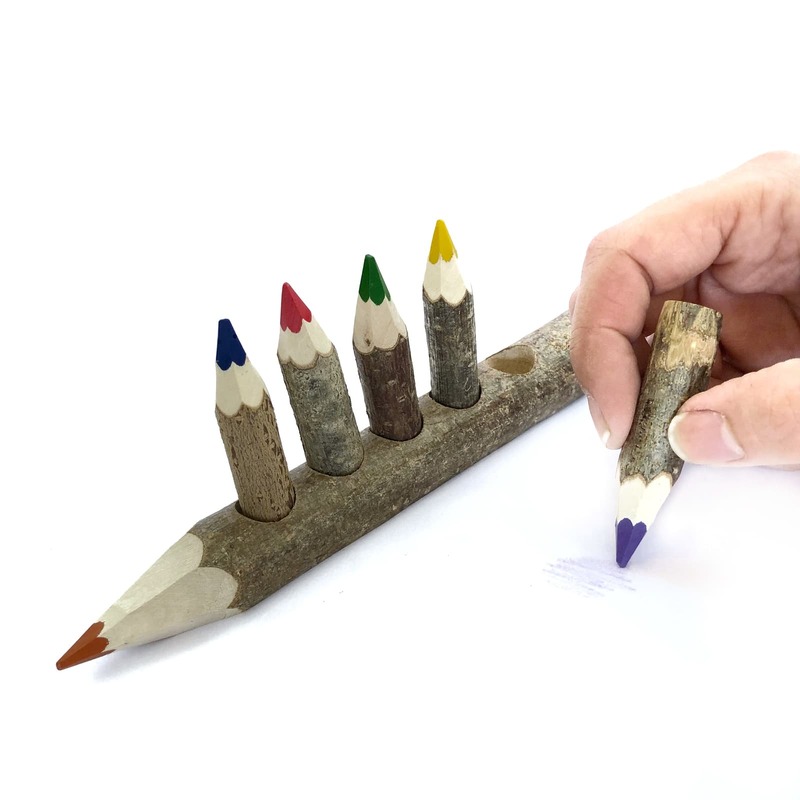 Keep in mind that both the pencils and the case you receive at home may be slightly different from the images displayed, because everything is handmade. The colors of the set are assorted. Big Crayon: Diameter between 20 and 25mm, 190mm long. Little ones: Diameter between 12 and14mm, 60mm long. 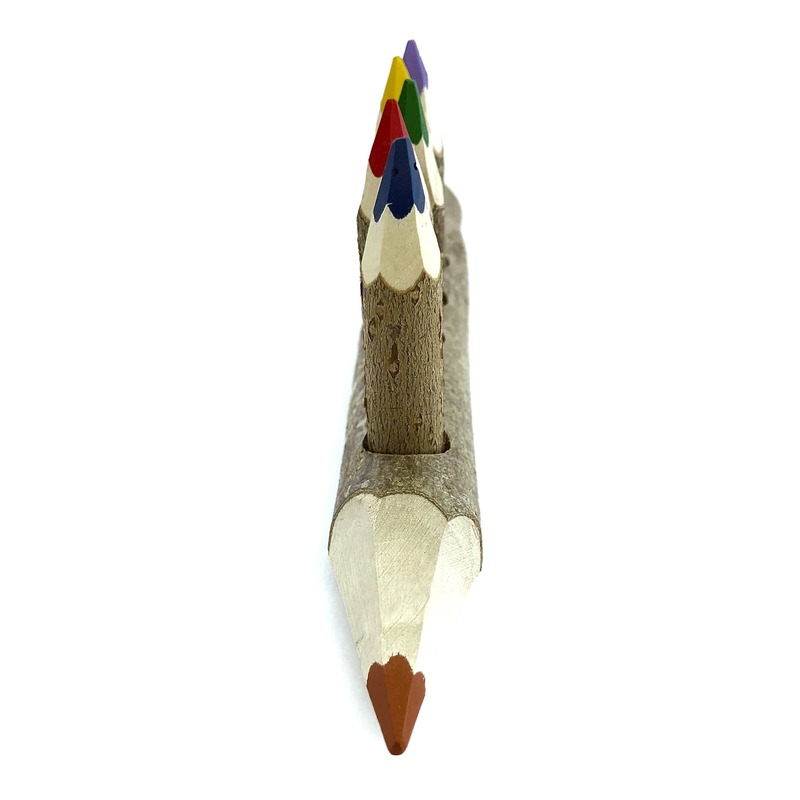 If you want to see more photos of our pencils click here. Set of 10 Color Pencils with cloth Case. Set of 5 color pencils with cloth Case.